Shirley Ann (Gwennap) Colvin, 83, of Colerain, OH passed away November 27th, 2018 at her home. She was born October 26, 1935, in Wheeling, WV a daughter of Charles J. and Hilda M. (Yates) Gwennap. In addition to her parents, Shirley was preceded by her husband, Robert E. Colvin in 1992, brothers Cecil C. and Raymond L., Granddaughter, Victoria Henderson, and her special friend and companion for 16 years, Alex Vargo who passed away February, 2015. 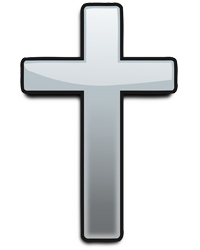 She is survived by three children: Donald G. (Kelly) Colvin of St. Clairsville, OH, Cynthia (Rick) Carpenter of Barnesville, OH, and Sherri L. Theaker of Belmont, OH; nine grandchildren; nine great-grandchildren; several nieces and nephews; sister, H. June Raab and brother, Robert A. Gwennap both of Warwood, WV. 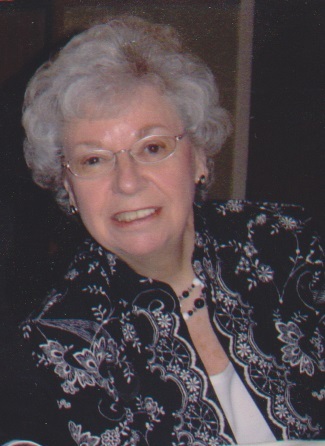 Shirley was a member of Colerain Presbyterian Church where she served as the Church Clerk and Secretary for many years. She also served as a member of Session, Deacon, and several church committees, including Fellowship and Stewardship Committees and The Friendly Circle. For many years she accompanied Pastor Joe in serving communion to church shut-ins. She was an active volunteer at East Ohio Regional Hospital where she enjoyed working with the girls in the Registration Department. She was a member of the Order of the Eastern Star, Powhatan Chapter #58 and served as Worthy Matron (with her husband Bob) of the St. Clairsville Order of the Eastern Star, Chapter #510 in 1972. She was also a former school bus driver for Martins Ferry City Schools. Shirley was a graduate of Warwood High School, Class of 1953. She retired from Wesbanco Wheeling after more than 24 years where she was Manager of the Check Processing Department. She loved the Pittsburgh Steelers and the Ohio State Buckeyes, and her dog Scee gave her much joy. Shirley was a loving mother and grandmother and will be greatly missed. Friends will be received at Wilson Funeral Home, 920 National Rd. Bridgeport on Thursday, November 29th from 2 to 4pm and 6 to 8pm. An Order of the Eastern Star service will be conducted at 7pm. Friends will also be received at Colerain Presbyterian Church on Friday, November 30 from 10am until time of service at 11am with Pastor Joe C. Ellis officiating. Interment to follow at Holly Memorial Gardens. Memorial contributions can be made to Colerain Presbyterian Church, P.O. Box 96, Colerain, OH 43916 or to a charity of your choice.